No matter where you live, you’re going to experience that transitional period from Summer to Fall. You’re not sure whether to dress for the chilliness of the morning or the warmer afternoons, and the easiness of Summer dresses and sandals fades away. I feel like I often get stuck in a rut during this time. Not just in my style choices, but also my lifestyle choices. Dressing how you feel is definitely a real thing! It’s important for me during these times to go really hard out of my way to do things in my daily life that are out of the normal for me, big or small, to help focus on moving forward rather than feeling stuck. I’ve put together a list of some of my favorite styling tips to help you transition from Summer to Fall like a champ! Create a Mashup – There’s nothing more obvious to transition from Summer to Fall than just fusing the two season’s trends together. In this instance I styled an off the shoulder sweater with a pair of linen shirts. The sweater is a great juxtaposition to the breezy shorts, and leaves me feeling just right in the cool and warm parts of the day. There are endless possibilities with this tip though! Swap out the shorts for a skirt, or a pair of trousers with a linen crop top. 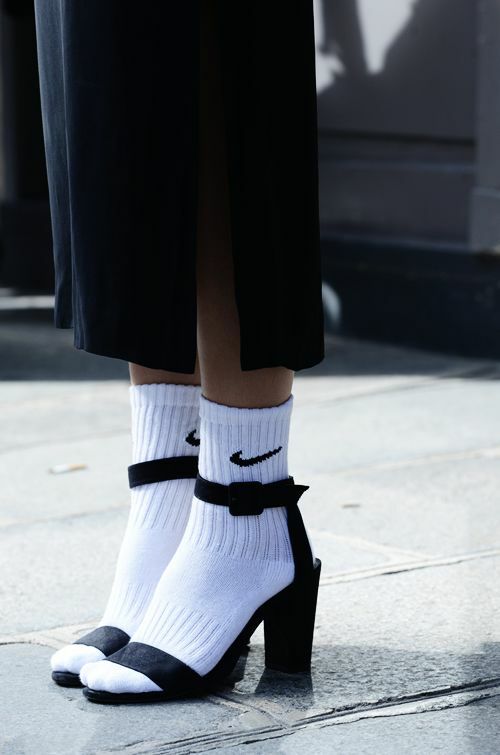 Socks – Layering is a given during transitional weather, but I wanted to take this styling tip a step further by adding socks into the layering mix! What better way to step into Fall than with feet dressed to perfection? I love the look of heels, sandals, or slides with socks, and drew inspiration from each of these unique takes on this styling tip: here, here, here, and here. 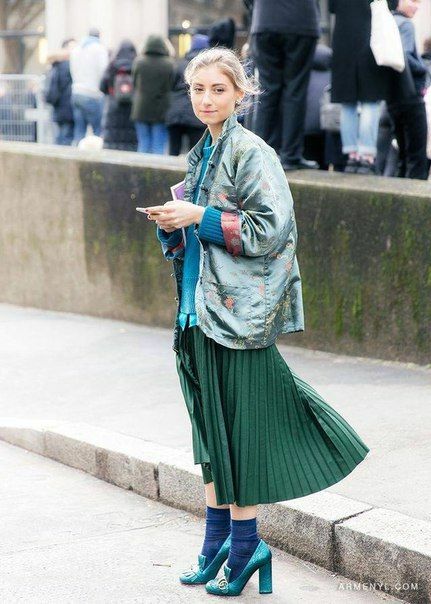 Layering a pair of socks can add some warmth and style before boot season officially drops, and can be so versatile. I opted for a pair of navy socks with yellow gold leather sling backs to dress up my outfit a little. Again, another great juxtaposition to an otherwise neutral outfit!